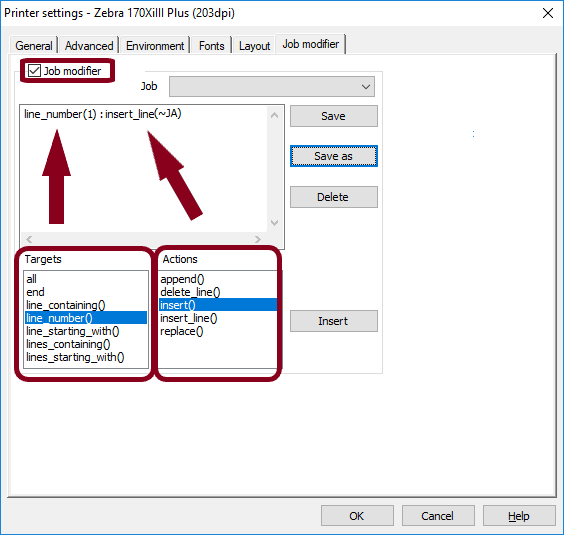 This Instruction Article explains how to clear print jobs out of printer memory in CODESOFT using the Job Modifier feature built into TEKLYNX printer drivers. Job Modifier will allow the user to instruct CODESOFT to insert specific printer commands into the print file when sent to the printer. 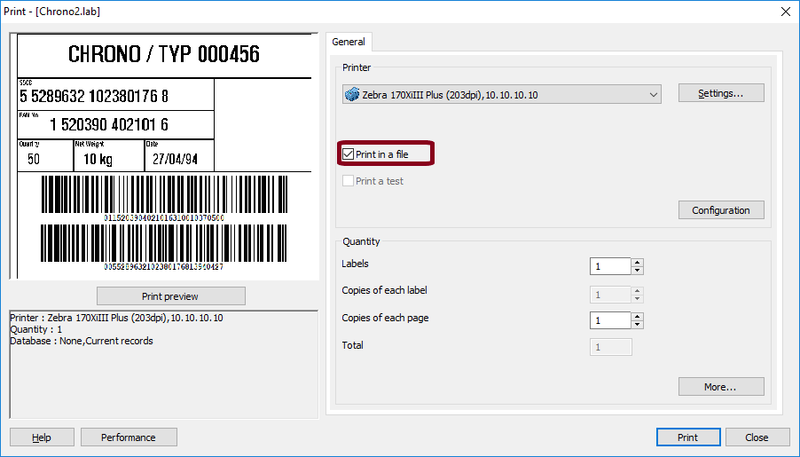 These instructions will apply to any thermal printer that TEKLYNX supports with TEKLYNX printer drivers. 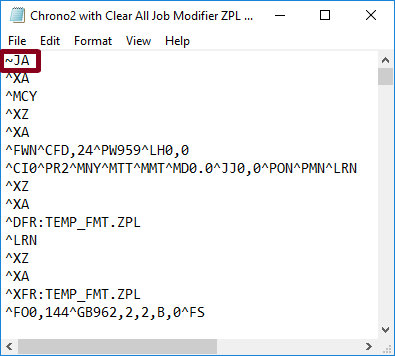 In this case, we directed Job Modifier feature to insert the Zebra ZPL printer langauage ~JA command (clear all) at the start of the printer code. The CODESOFT “Print in a file” feature can be used to verify the Job Modifier action. Go to the Print dialog and check this box. Press print and CODESOFT will direct you to a location to save the txt file with the new printer code. Open the saved txt file (using Notepad for example), and you can verify the Job Modifier instructions. 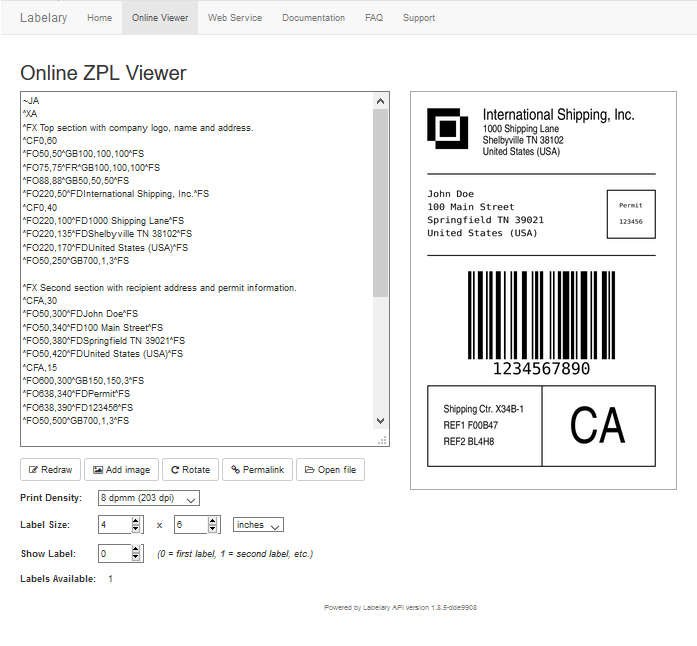 The above ZPL Printer Emulator can be used to check the printer code without a printer.